Principal Conductor of the Bonn Opera in Germany and Music Director of the Orchestre symphonique de Trois-Rivières, Jacques Lacombe was recently appointed Music and Artistic Director of the Orchestre symphonique de Mulhouse in France where he starts in this new position in September 2018. From 2010 to 2016 he was Music Director of the New Jersey Symphony Orchestra and from 2002 to 2006, principal guest conductor of the Orchestre Symphonique de Montréal after being music director of the Philharmonie de Lorraine in Metz, France. Jacques Lacombe is renowned as a “gifted and ambitious” conductor (The New York Times) whose artistic integrity and rapport with musicians and orchestras have propelled him to international stature. In July 2016, Jacques Lacombe was honored to be reinvited to conduct the opening weekend concerts of the prestigious Tanglewood Music Festival with the Boston Symphony Orchestra where he was a guest for a third consecutive year. In addition, one of the highlights of his past seasons includes his debut with the Orchestre National de France at the Theatre des Champs Élysées in Paris for a concert version of Massenet’s Werther with Joyce Di Donato and Juan Diego Flórez. He also made his debut at the Festival Internacional de Opera Alejandro Granda in Lima, Peru. Symphonic debuts include the Taiwan Philharmonic National Symphony Orchestra as well as orchestras in Dallas, Nancy, Omaha and San Antonio. More recently, he coducted at the Bonn Opera new productions of Holofernes by Reznicek, La Bohème, Lucia di Lammermoor and Peter Grimes with, in the title role José Cura who also staged this new production. In recent seasons, he has collaborated with renowned soloists such as Emanuel Ax, Joshua Bell, Yefim Bronfman, Sarah Chang, Yo-Yo Ma, Branford Marsalis, Gil Shaham, Jean-Yves Thibaudet, André Watts, Diana Damrau, Joyce DiDonato, Renee Fleming, Angela Gheorghiu, Frederica von Stade, Roberto Alagna, José Cura, Dimitri Hovrostovsky and Bryn Terfel. 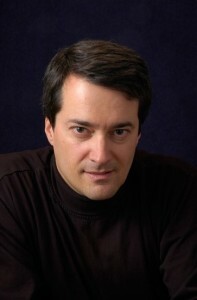 In addition to his numerous collaborations with many orchestras in North America such as orchestras in Boston, Cincinnati, Dallas, Edmonton, Montréal, Quebec and Toronto, Jacques Lacombe has worked in Europe among others with the Orchestre National de France, the Orchestre Lamoureux and orchestras in Malaga, Monte-Carlo, Mulhouse, Nancy, Nice, Toulouse as well as many orchestras in Oceania and in Asia. In other recent highlights, Mr. Lacombe’s work in opera includes all-star productions of La Bohème and Tosca at the Royal Opera House at Covent Garden, the world premiere of Marius et Fanny with the Opéra de Marseille with Roberto Alagna and Angela Gheorghiu, two frequent collaborators, and many productions including Un Ballo in Maschera, Ariadne auf Naxos, Der fliegende Holländer and Eugene Onegin with the Deutsche Oper Berlin where he is a regular guest for over ten years. Mr. Lacombe has also led a number of operatic rarities with the Deutsche Oper, including Zemlinsky’s Der Traumgörge, Die Dorfschule by Felix von Weingartner, Carl Orff’s Gisei – Das Opfer, and Waltershausen’s Oberst Chabert, which have been recorded and produced by the label CPO. He has led productions with Opéra de Monte-Carlo, most recently Lady Macbeth of Mtsensk and La Favorite by Donizetti with the tenor Juan Diego Florez. In addition, Mr. Lacombe has conducted at the Metropolitan Opera House in New York, at the Teatro Regio in Turin, at the Bayerische Staatsoper in Munich, at the Opéra national du Rhin in Strasbourg as well as opera houses in Avignon, Liège, Marseille, Metz, Nantes and Angers, Philadelphia and Vancouver. Mr. Lacombe’s outstanding work with the Orchestre symphonique de Trois-Rivières has also been recognized by a recent Juno Award given by the Canadian Academy of Recording Arts and Sciences for Best Classical Album of the Year: Vocal or Choral Performance for his recording of Lettres de Madame Roy à sa fille Gabrielle with renowned contralto Marie-Nicole Lemieux written by André Gagnon and Michel Tremblay. Jacques Lacombe has recorded for the CPO and Analekta labels, and has recorded Janáček’s Suite from The Cunning Little Vixen, Carl Orff’s Carmina Burana, and the Verdi Requiem on releases with the New Jersey Symphony Orchestra. His performances have been broadcast on PBS, the CBC, Mezzo TV in Europe, France 3 and Arte TV in France and on Hungarian Radio-Television. Born in Cap-de-la-Madeleine, Québec, Jacques Lacombe received his musical training at the Conservatoire de Musique de Montréal and at the Hochschule für Musik in Vienna. Orchestral conducting teacher at the Conservatoire de Musique de Montréal, he received the Queen Elizabeth II Diamond Jubilee Medal in 2012. He is also a Chevalier de l’Ordre national du Québec and a Member of the Order of Canada, one of the highest civilian honors in the country. …A strong masterful musical direction […] the Quebecois maestro Jacques Lacombe with precise, lively and energetic gestures tailors each section of the able-bodied Orchestre Philharmonique de Monte-Carlo and restores life, passion and fluid energy to the score. A conductor in perfect agreement with the singers and musicians as evidenced by the evocative intensity of the overture, the instrumental dialogue in the beginning of Act IV between the divine calling of the church organ and the human desire voiced in the cello or the sound of the harp announcing the prayers of Leonora. …Spirited and full of momentum, the direction of Jacques Lacombe highlights the drama contained in the score, and enlivens the Orchestre Philharmonique de Monte-Carlo to a state of grace highlighting excellent solos, including a most beautiful cello. I never thought I’d find myself wanting to review a recording of Orff’s Carmina Burana, but this one with the New Jersey Symphony Orchestra caught my ear and is so superb–so lively, accurate, cleanly recorded, and handsomely played–that its action-movie, apocalyptic aspects are matched by its introspective moments. The soloists act out their parts splendidly–in the case of Vale Rideout, the tenor in the ultra-high “Roasted Swan” episode, almost too well. He never resorts to falsetto and winds up sounding like he’s about to be murdered. Soprano Sarah Coburn, a fine Lucia, has no difficulties with the stratospheric high notes, but she surprises in the tender “In trutina” section, which sits in the middle of her range: she is as lovely as Lucia Popp in the same music. Baritone Stephen Powell’s falsetto is as solid as his baritone, even as he reaches to the high Gs and A-flats; “Omnia sol temperat” is properly adoring and dreamy. Canadian conductor Jacques Lacombe, who has since been named the Symphony’s music director, leads the work–it is taken from two performances in November, 2008–as if it were a masterpiece, and the huge forces–more than 250 strong–are out to impress, playing and singing with marvelous attention to dynamics. Stabbing rhythmic attacks are the norm–this Carmina moves without rushing. Jacques Lacombe, à la tête d’un orchestre admirablement disposé, épouse le propos de la mis en scène avec un élan enthousiasmant, ciselant la couleur et la matière sonore avec un brin d’emphase pour donner tout leur poids dramatique aux instruments. Au final, le spectateur est conquis par ce pot-pourri de styles n’entrant jamais en conflit, et par l’élégance souveraine d’une direction sachant garder la mesure. The major reason for this success was Jacques Lacombe, who already proved his qualities as a sensitive conductor here before. With Strauss now he brought out all colours of this precious score, transparent and always vivid, but also with high-spirited outbursts when needed. The huge applause for Lacombe was not surprising with such an impressive musical performance. This new triumph of the current Richard Strauss festival is due to a teamwork of highest skill, lead by stage director Robert Carsen and conductor Jacques Lacombe with his passionate orchestra. Conductor Jacques Lacombe points out all the subtleties of this finest of all Strauss operas: the smooth mysticism of Ariadne’s monologues as well as the friendly humanity of the comedian’s songs. Sharp wind passages are realized with the same quality as the orchestral tension of the final scene where Strauss evokes the oceanic flow of his tone poems. Jacques Lacombe conducted the orchestra with a nearly narcotic sense for Strauss’ music. Satisfaction and enthusiasm at the Deutsche Oper, how wonderful! This is, without any doubt, a complete artistic success, coherent, suggestive and felicitous in every way. This was especially due to Jacques Lacombe, who animated the orchestra to a light, transparent and colourful, dazzling sound and flowing tempo. The orchestra conducted by Jacques Lacombe played the dignified music with greatest pleasure. The orchestra conducted by Jacques Lacombe performed a sensuous and opulent Strauss with many subtle nuances. Too many middling performances can turn a frequent concertgoer off a classical warhorse, leaving one to wonder why all the time and talent are accorded pieces that had their day long ago. But go to enough concerts with open ears, and there might be one that changes your mind. Friday’s performance of Carl Orff’s 1930s dramatic cantata “Carmina Burana” at NJPAC in Newark was such a revelatory event. Thanks to an inspired team — the New Jersey Symphony Orchestra, Montclair State University Chorale, Moscow Conservatory Chorus and an excellent trio of vocal soloists — this neo-primitive celebration of spring fever that has so often seemed kitschy was entertaining, even touching. Guest conductor Jacques Lacombe, a 45-year-old French Canadian, galvanized the 266 performers for a communal experience. “Carmina Burana” can seem longer than its usual hour, but Lacombe’s dynamic subtlety and zest made it fly by. He is a musician’s conductor, the rapport he achieved in rehearsal coming through on stage; blessed with a rare memory, he worked without a score, maximizing his eye contact with the orchestra and chorus, the intimacy aurally apparent. production but, from the singers, including the fine chorus, a rare sense of French style. C’est avec ce dernier concert de la saison régulière 2005/06 que prend fin l’interrègne entre Charles Dutoit et Kent Nagano. Il faut tirer un grand coup de chapeau à Jacques Lacombe pour avoir maintenu la cohésion de l’orchestre et assumé, sans dommage de part et d’autre, cette lourde charge. …On attendait donc impatiemment de connaître sa vision de «Babi Yar», la 13e Symphonie de Chostakovitch… Le concert d’hier soir restera dans les mémoires et marque, pour Jacques Lacombe, un départ glorieux de ses fonctions auprès de l’OSM. Ironie du calendrier, cette Treizième de Chostakovitch venait quelques mois à peine après l’insignifiante (dans le sens le plus profond du terme) Huitième du même compositeur par Kent Nagano. À distance, l’humble travailleur de la musique a donné une vraie «leçon de Chostakovitch» à la star internationale ! Tout ce qui manquait au Chostakovitch bruyant mais vain de Nagano illuminait la vision musicale de Jacques Lacombe hier : timbres profonds (cordes graves) et saturés (vents); forte explosifs; saillances instrumentales (trompettes); richesse des percussions, avec un sublime tam-tam; incarnation musicale du texte et des non-dits. Servi par un orchestre d’une discipline extrême, un choeur engagé et juste, un soliste rigoureux et habité, le chef québécois a traduit avec une tension jamais relâchée et des coloris très justes le cynisme, la peur et la transe. L’orchestre était comme nourri de l’intérieur, dans les tourments comme dans la tendresse, à l’image de cette symbiose des violons et des harpes sur l’ode aux mères russes à la fin du 3e mouvement. C’est avec ce dernier concert de la saison régulière 2005/06 que prend fin l’interrègne entre Charles Dutoit et Kent Nagano. Il faut tirer un grand coup de chapeau à Jacques Lacombe pour avoir maintenu la cohésion de l’orchestre et assumé, sans dommage de part et d’autre, cette lourde charge.…On attendait donc impatiemment de connaître sa vision de «Babi Yar», la 13e Symphonie de Chostakovitch… Le concert d’hier soir restera dans les mémoires et marque, pour Jacques Lacombe, un départ glorieux de ses fonctions auprès de l’OSM. Ironie du calendrier, cette Treizième de Chostakovitch venait quelques mois à peine après l’insignifiante (dans le sens le plus profond du terme) Huitième du même compositeur par Kent Nagano. À distance, l’humble travailleur de la musique a donné une vraie «leçon de Chostakovitch» à la star internationale ! Tout ce qui manquait au Chostakovitch bruyant mais vain de Nagano illuminait la vision musicale de Jacques Lacombe hier : timbres profonds (cordes graves) et saturés (vents); forte explosifs; saillances instrumentales (trompettes); richesse des percussions, avec un sublime tam-tam; incarnation musicale du texte et des non-dits. ” …Giving pride of place to singers, I have waited too long to mention Jacques Lacombe, the conductor making his Met debut. It was he, as much as anyone, who made the evening, with his intelligent and vibrant leadership. A Canadian, Mr. Lacombe is principal guest conductor of the Montreal Symphony and works elsewhere in the world. By evidence of Friday night, he should have a big career. Under his baton, every page of the score seemed alive. Nothing was corny or frivolous. This conductor seemed rather to elevate Massenet (no offense to the many fans of the divine Jules). Mr. Lacombe’s sense of pace was excellent, and his authority over his forces almost total. Tender moments were exceptionally tender, and tumultuous moments were exceptionally so – reflecting the storms in the minds of the principals. Orchestra players in the pit applauded Mr. Lacombe heartily when he appeared onstage for his bow, an uncommon sight.